You’ve finally found the home of your dreams in Breckenridge and the seller has accepted your offer. Life couldn’t be better. Right? I agree that things are looking pretty good, but there are still some issues you may need to navigate through legally before the purchase is complete. Real estate transactions are exciting and often tricky at the same time. That’s why I’m using today’s article to focus on deal breakers you should be aware of as you shop in the Breckenridge real estate market. When you make an offer, know your limits. You may fall in love with a property and think, “I’ll do anything to get this property”, but when the dust settles, you might have set a price that’s beyond your means. Before entering any negotiations, be fully aware of what you can afford. You have to be confident you can handle the costs of the mortgage, taxes, fees and insurance. Otherwise, when it comes time to sign the paperwork, you could find out that you’re unable to swing the monthly payments. It’s always fun to plan for everything you may need in your new home. Many of my clients are eager to start purchasing items such as appliances or furnishings in anticipation of the closing. However, I always tell them this could be a big mistake. 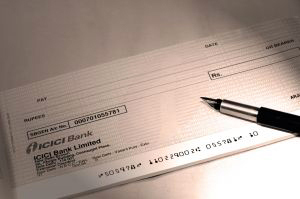 Sometimes a lender will do a credit check just before the closing date. If you’ve bought a number of expensive things, your credit score could drop. As a result, your mortgage rate and fees might go up. You and the seller may have agreed on a price. However, the appraisal could turn everything upside down. If the appraiser concludes the amount is too high, either you’ll have to come up with more money or the seller will be forced to reduce the price. Unfortunately, if neither side is open to negotiate at this point, the deal will end. In this type of a scenario, it’s smart to have money put aside to make up for the possibility of a lower appraisal. Otherwise, you could lose the home. The property could seem perfect on the surface. You may already start imagining yourself living in this house. Then the inspection takes place and everything could change in a second. If there are major issues such as a bad roof or mold problems that the seller won’t fix, this might cancel the deal. The moral is that even if you are sure this is the home for you, don’t overlook the inspection process. The inspection is designed to look out for you as the buyer. If you sign on the dotted line without knowing about some costly issues and negotiating their resolution, you will be stuck fixing them on your own. Buying a new home in Breckenridge or anywhere else can be complex. There are all sorts of potential challenges lurking around every corner. However, you aren’t working towards homeownership alone. I’m here to help. If you would like more information on deal breakers to avoid, feel free to give me a call. I’d be glad to give you additional insights. Also, if you’re looking to buy real estate in Breckenridge or anywhere in Summit County, I’m happy to put together some properties that might meet your needs. You’re always welcome to look through the updated listings on my website any time, too. When you’re ready to discuss your options or prepare for showings, contact me at any time via email ([email protected]) or on my office line. I look forward to working with you!